My last fax machine lasted for 6 years before I finally decided to replace it with a new one. The fax/phone feature was working great for my home office but I was none too happy with the fact that my fax was just a fax and nothing more. Sure it could copy and send/receive fax but could it scan photographs like a multifunction printer and did it have the Wi-Fi feature? No, it did not so I was actually a little pleased when the time came for my fax to retire and I ended up shopping for a new multifunction printer in Harvey Norman. My old printer was still working fine but since I needed a new fax, I decided to opt for an all-in-one printer with fax feature included. My main requirement besides the functionality to fax and print was the function to scan of course. Believe it or not, I’ve never had a scanner and though a simple one would not have burned a hole in my pocket; I was set on a new printer with scanner included. 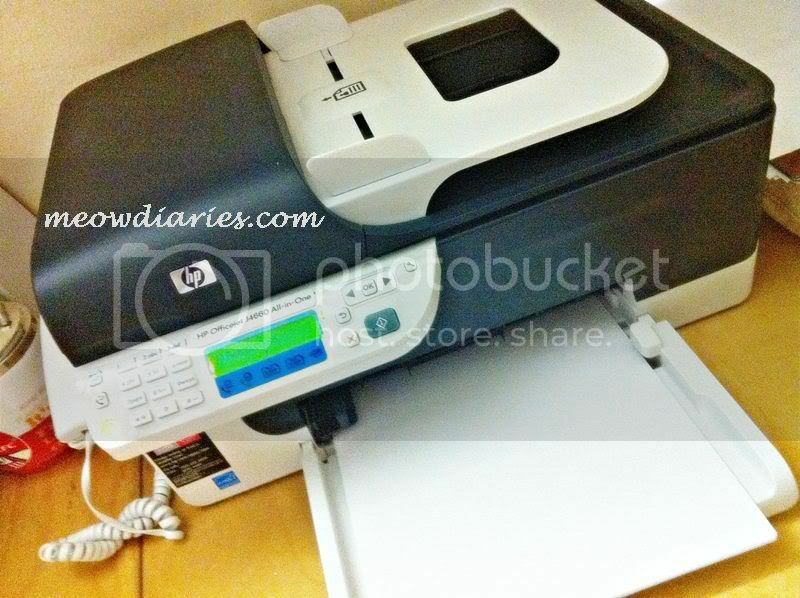 So after waiting for years, here is my new HP Officejet J4660 All-in-One and I love it! Aside from the basic features to print, fax and copy, I am now finally able to scan! There are plenty of photographs I’ve been meaning to scan and I just hope I can find my stack of old photographs especially those of my first cat that lived with me when I was studying and living in the US. Toni was her name and she was white and grey. So that is what I’ll be doing today; hunting for old photos to scan, save and share here at my blog! 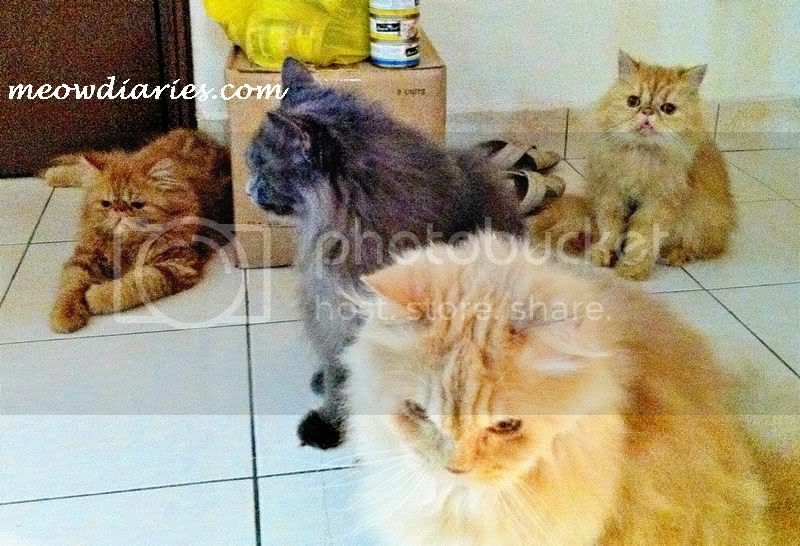 Meanwhile, here’s a picture of my current fluffy lovelies - Chubbster, Benji, Phoebe and Pablo! oh nice! i dont have an all-in-one printer/scanner..just printer only and no zaman dulu pics with me here oso haha..
:* :* :* :* Monica, FC thanks for chop sweetie, meow! I have been using an all in one printer and scanner too, courtesy of HP. I have the printer/scanner for few years now and it is really handy, esp when I need to photostat something.. I just use Epson but it has been with us for so long and the ink is good too..